Anvil Motociclette is the kind of shop that is catching the attention of younger riders in mainland Europe. Their designs are raw and uncompromising, and guaranteed to stop the traffic. 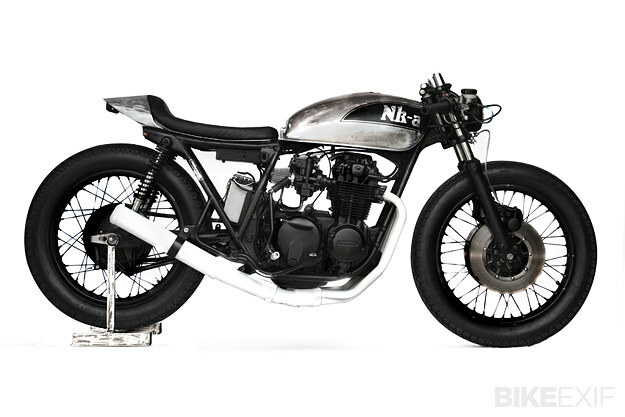 This 1979 Honda CB500 custom is typical: It’s low and rakish, stripped to the basics and ready for action. Anvil is run by San Marco Filios and Alessandro Phonz Fontanesi, both in their early 30s and living in Milan. They’ve both been passionate riders since childhood, starting on motocross bikes. Today they focus on road bikes, and as you’d expect from a workshop based in Italy’s design capital, their creations have a strong dash of style. 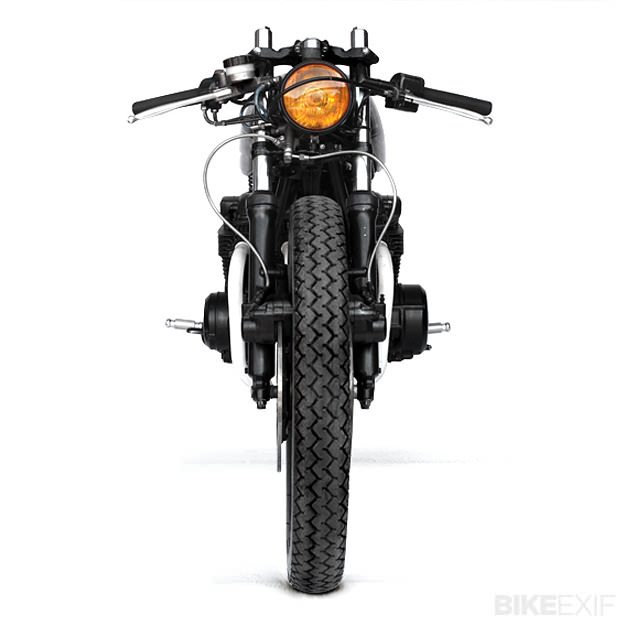 On this Honda CB500, the forks have been lowered to drastically alter the stance of the bike, with firmer springs fitted to compensate for the shortened suspension travel. Low-slung Tommaselli bars add to the racy look, sitting ahead of a Laverda tank painted with the name of the bike—“Nk-a”. 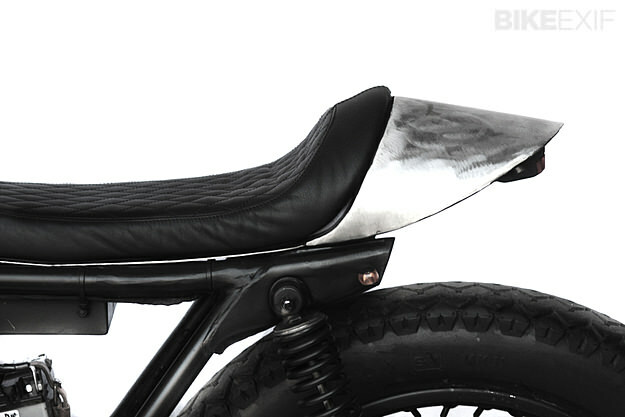 The aluminum seat unit is custom-fabricated, and upholstered with leather. 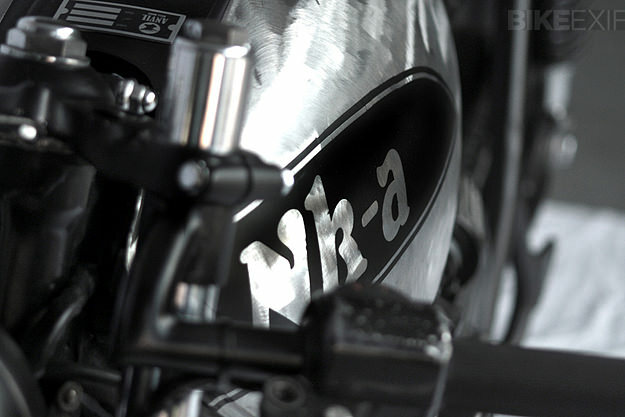 The fine Honda CB500 motor has been left alone, but painted black for a factory-fresh look. 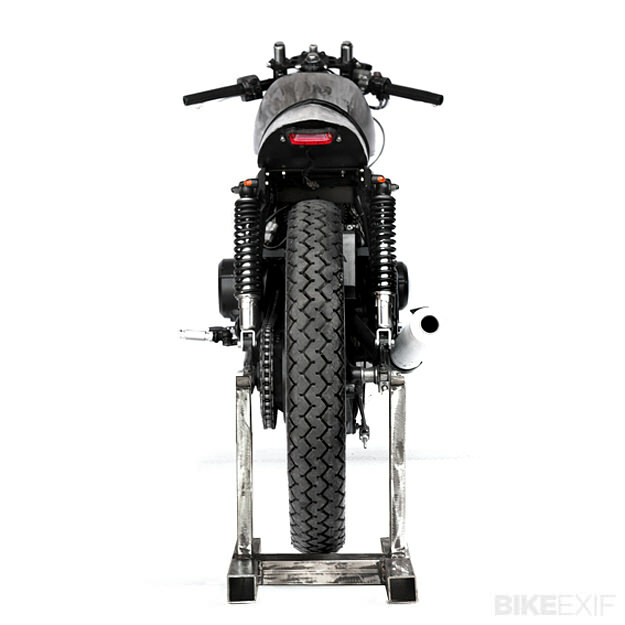 It’s now hooked up to free-flow filters and a striking white exhaust system from Marving. The tires are Avon Safety Mileage Mk II, a classic pattern recast using modern rubber compounds. Anvil’s approach is unlikely to find favor with purists. But on the other hand, they’re a big part of the new wave custom scene in Italy and Europe. Head over to the Anvil Motociclette website to see more customized Honda CBs—and a very tasty Moto Guzzi SP 1000 and Suzuki GSX750E.